How can we turn #IdeasIntoAction for hurricane recovery and resilience? This week, in San Juan, Puerto Rico, hundreds of leaders will gather to discuss and develop solutions. 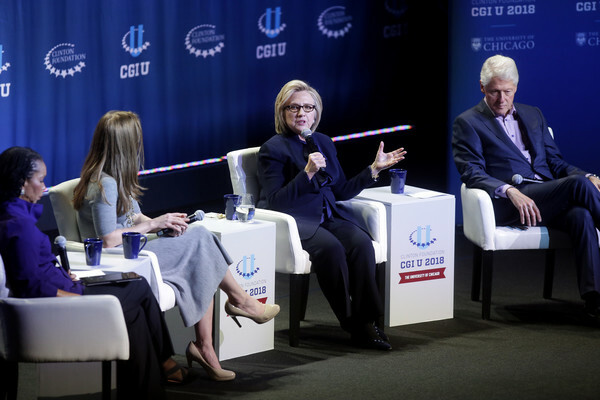 Here’s an article from People about the Clintons’ trip to PR and a dinner out with friends. Lin-Manuel Miranda on Sunday gave his final bow for a special production of Hamilton in Puerto Rico — and Bill and Hillary Clinton were in the audience after traveling to the island this week to support their foundation’s hurricane recovery work. 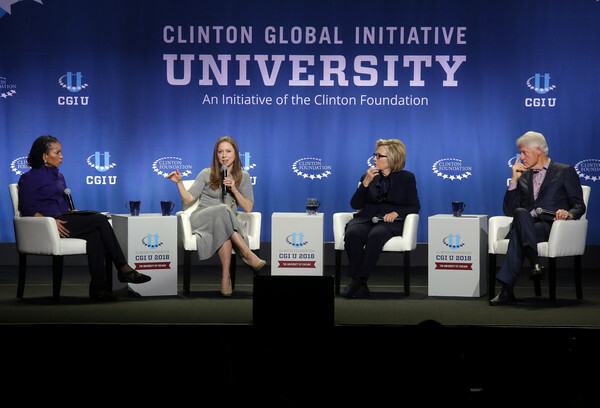 The next night, a source tells PEOPLE, the trio headed to dinner at San Juan’s Cocina Abierta where they were joined by George Clooney, chef José Andrés and Miranda’s father, Luis, along with Clinton Foundation supporters. 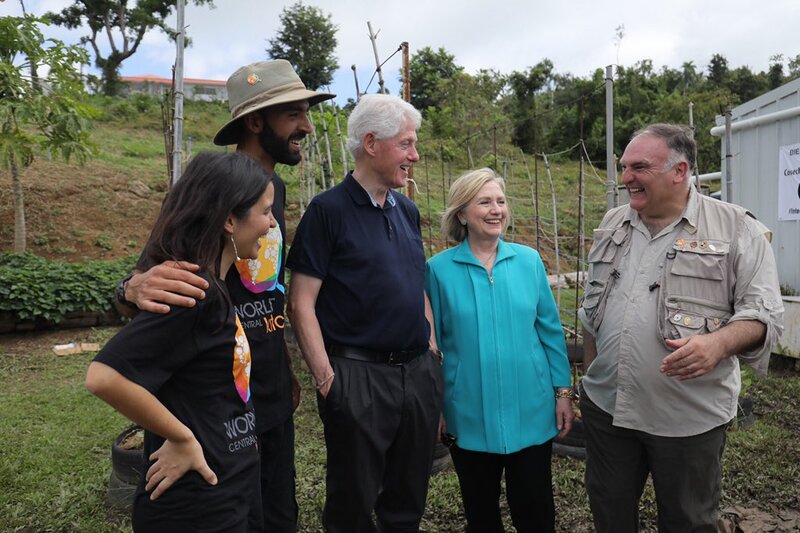 In Puerto Rico for CGI’s 5th Action Network meeting with @BillClinton. Kicked off the week by going to see @Lin_Manuel & the incredible cast of Hamilton perform to benefit the hurricane recovery efforts. 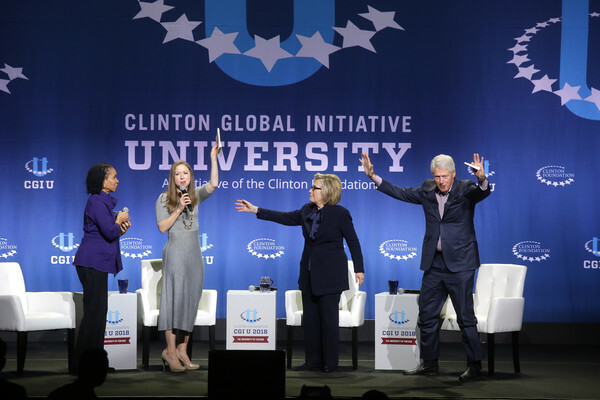 I am so proud of the impact the Clinton Foundation has made. 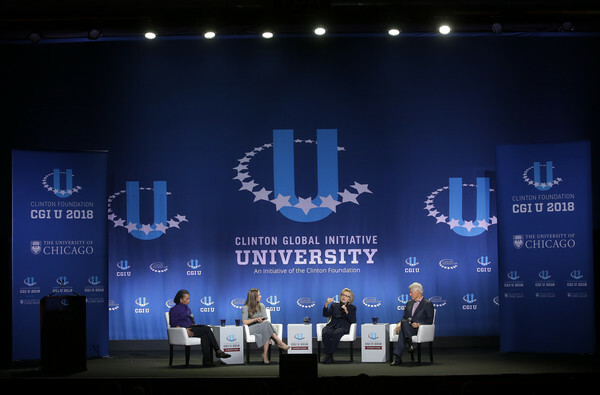 When I ran for president, this top-rated global charity was dragged into a political mud fight. In the two years since, people with an axe to grind have continued to try to undermine its work by attacking them and making false accusations. But the Foundation has continued to help people across America and around the world, undeterred by these baseless assaults. I’m inspired by this steadfast dedication to improve lives. 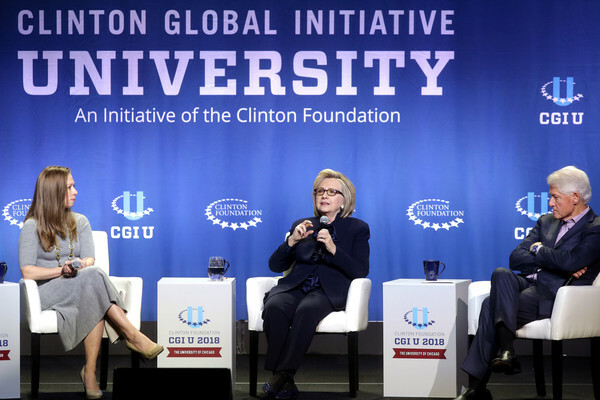 There are real issues in society needing attention that the people of the Clinton Foundation work hard to solve every day. Despite the attacks, they are staying focused on what really matters. Join with me in resisting the vitriol. Sign up today and get involved in work that matters. 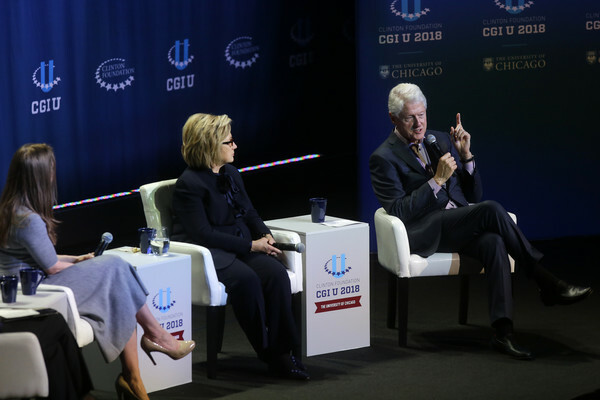 For the past 18 years, the Clinton Foundation has dramatically and demonstrably helped millions of people around the world by working with partners to improve lives, from making HIV/AIDS treatment available across the developing world and helping children in America’s schools get healthier meals to working with faith leaders across America to help stem the scourge of opioid abuse. Today, the Foundation’s work continues to improve lives by working with partners and providing programs that create economic opportunity, improve public health, and inspire civic engagement and service. 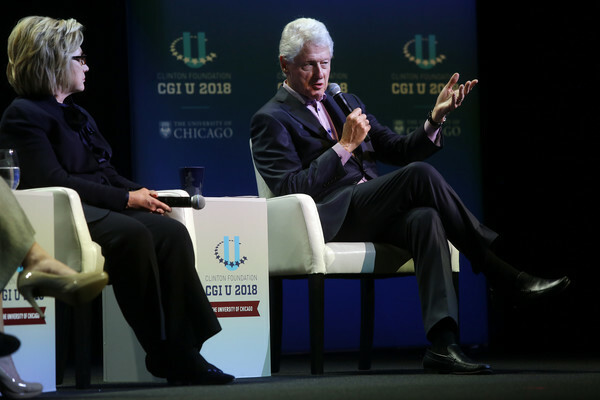 Next week, I will have the opportunity to join Bill and more than 500 partners from business, government, and the philanthropic community as we convene in Puerto Rico for the CGI Action Network on Post-Disaster Recovery. Together, we are helping Puerto Rico and communities across the Caribbean to build back better after the devastating 2017 hurricanes; we’re providing resources, practical solutions, and technical assistance that is making a real difference. This work is important and we need your help. Add your name and get involved. Making a difference in people’s lives takes hard work, leadership, and resources. 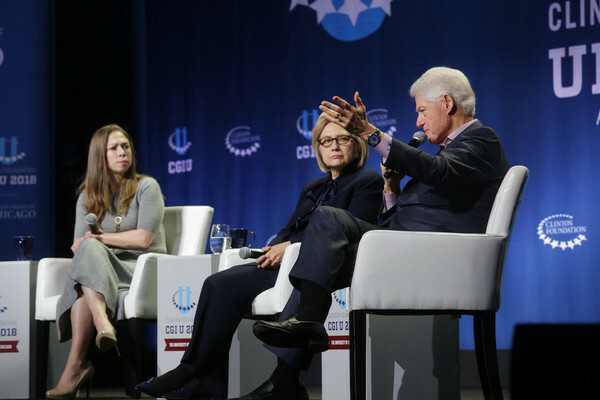 Now more than ever, we need your support to help the Clinton Foundation continue its impact. Join us and together we can continue to help change lives. 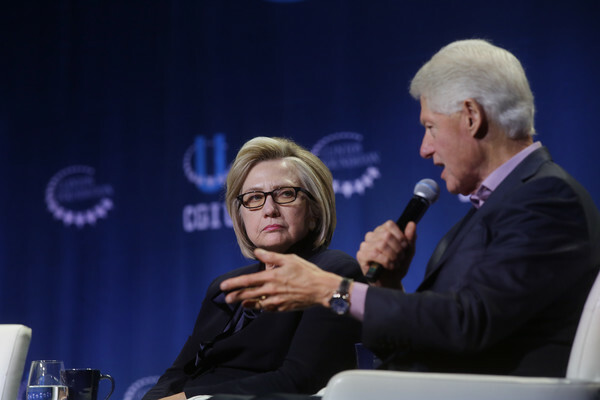 Wishing the Clinton family a Happy Thanksgiving in return. You can make a donation here. May we all open our hearts and reach across tables today. May we all find hopes and values in common. May there be pie. Happy Thanksgiving.